If you are looking for a luxury watch that is close to the world of aviation and sports and offers several great and specialised models then you ought to check out the watches of Longines. It is one of the elite Swiss luxury watches brands that have found their specifications quite early on and have been sticking to it since. Let us see what we can learn about Longines timepieces, the brand’s story and the availability in the Middle-East. Founded in Saint-Imier, Switzerland by Auguste Agassiz Longines watches were initially produced in order for them to be distributed towards distant markets, for example the United States. The first models of Longines were assembled by Longines but worked with watch parts and mechanisms bought from other professional watchmakers. This period lasted until 1867 by which time the company had enough experience and the possibility to take over the whole process of watch making. Longines is named after the town in Switzerland where the company has set up its first bigger workshop. The winged-hourglass logo of the brand is one of the most well known watch logos to be ever designed and in fact it is also one of the oldest as such. The strong bond of Longines and the world of aviation came with the friendship of owner Mr. Agassiz and the world famous aviator Charles Lindbergh who provided a great help and lots of advices for the creation of the first real aviator’s watch that contained lots of features aviators find useful for the very first time. Longines still dedicates several of its special creations for Lindbergh, which are all professional aviator watches, including the Lindbergh’s Atlantic Voyage Watch and the Lindbergh Hour Angle Watch which you can get to find in the brand’s Heritage Collection. Since the creation of the first aviators watches, Longines has specialised in the creation of highly professional aviators’ watches. Longines has also created Military watches and professional diving watches that are all sold in its Heritage Collection today. Next to its professional watches, Longines has pioneering role in terms of watch making by being the first to use a winding crown in its watches, being the first watchmaker to include an LCD in its watches and the Longines is the creator of the world’s thinnest watch in 1980. Longines was the first official timekeeper for the Olympic Games. It is part of Swatch Group today. 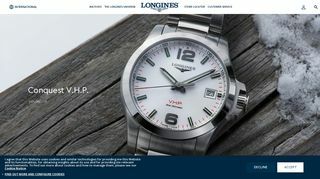 Longines has 4 key collections which include Elegance, Watchmaking Tradition, Sport and Heritage. 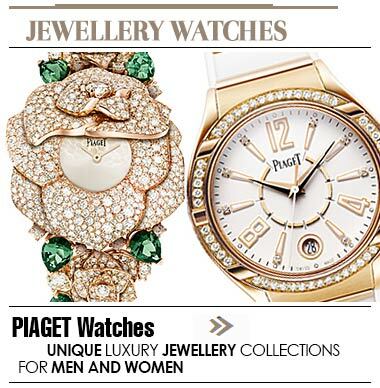 Each collection contains over 10 timepieces. Outstanding models include Le Grande Classique, the Dolce Vita, the Chronograph, the Hydro Conquest and the Longines Master. Current ambassadors of the brand include Aaron Kwok Fu Shing, Aishwaria Rai and Kate Winslet among other stars. Longines continuously calls the attention of customers to only buy Longines watches from the authorised retails of the brand, which you can get to find on the official website of Longines. The Middle-East is one avid fan of all luxury items and naturally, you have the chance to buy Longines watches at one of the brand’s flagship stores located in Dubai, Abu Dhabi, Bahrain, Iran and even in Iraq.